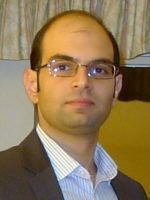 Faisal has a Master degree in Photonics from the University of St Andrews (UK) and from the KTH University (Sweden), obtained with distinction under the European Union Erasmus Mundus MSc program. On graduating, he worked as a Photonics Engineer at OptoSci Ltd, based in Scotland before joining LNG Futures in 2017 as a PhD student – at the University of Adelaide. His area of research involves spectroscopic measurements of natural gas mixtures, focusing on the challenges of large scale data analysis and measurement protocol optimisation, to develop a novel gas sensor for smart processing and production.